YogaMedics RYT 200 Training brings together the perspectives of yoga and medicine. There are many excellent yoga training programs— ours is different. Developed by a team of more than 20 medical professionals, including doctors, psychologists, and physical therapists, this program will provide you the training necessary to become not just a yoga instructor, but a highly trained instructor in the growing field of Integrated Healthcare. 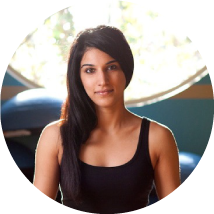 Led by Director of Training and Education, Seema Singh, our training program is taught by a uniquely qualified team of doctors, physical therapists, and yoga teachers. This team works in concert to strengthen your knowledge and understanding of functional anatomy and help you apply this knowledge for healing through the practice of yoga. You will learn to help clients go beyond the “quick fix” and teach them to maintain their progress by strengthening the whole body. In addition, you will help clients learn body awareness, alignment, balance, strength, and flexibility, which will help them reduce chronic pain, manage injuries, and prevent future injuries. Upon completion of our training, you will earn your 200-hour RYT(Registered Yoga Teacher) from the Yoga Alliance. If you are already certified, you can bolster your current RYT status with a strong foundation or a refresher in anatomy and physiology, as well as applied asana practice. Additionally, YogaMedics may select teacher-trainers who complete this program for advanced training as certified YogaMedics therapists. The 200-hour RYT program is completed over four consecutive weekends. RYT Training takes place at our Bloomfield Hills Studio. Attendance for the entire 200-hour RYT program is $3400.